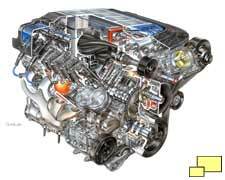 The new engine is not based on the 427 cubic inch Z06, as one might expect, but is closer to the LS3. 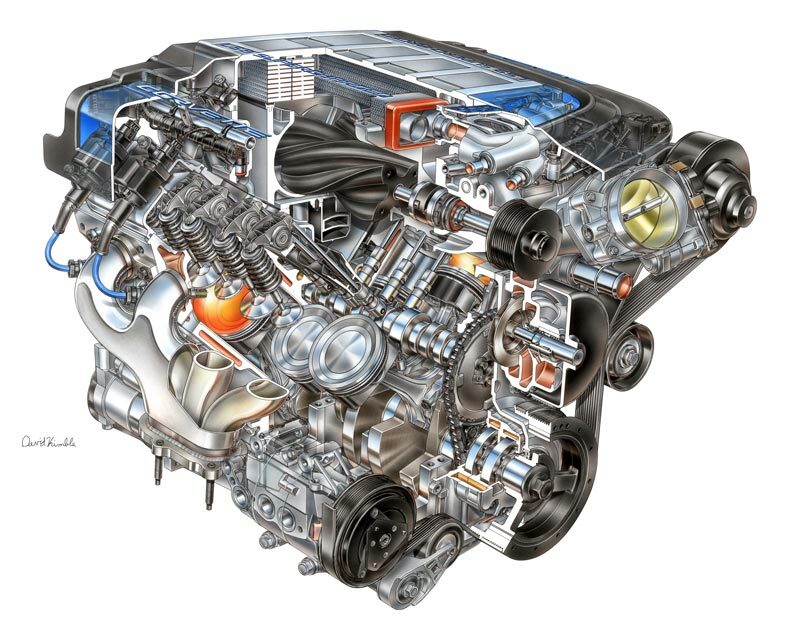 LS9 is the new designation for the ZR1 engine and the displacement - 6.2 liters (376 cubic inches) - is the same as is the bore (4.06 inches [103.25 mm]) and stroke (3.62 inches [92 mm]). There are differences however. Shorter connecting rods result in a lower (9.9:1) compression ratio that is more suited to a forced induction engine. 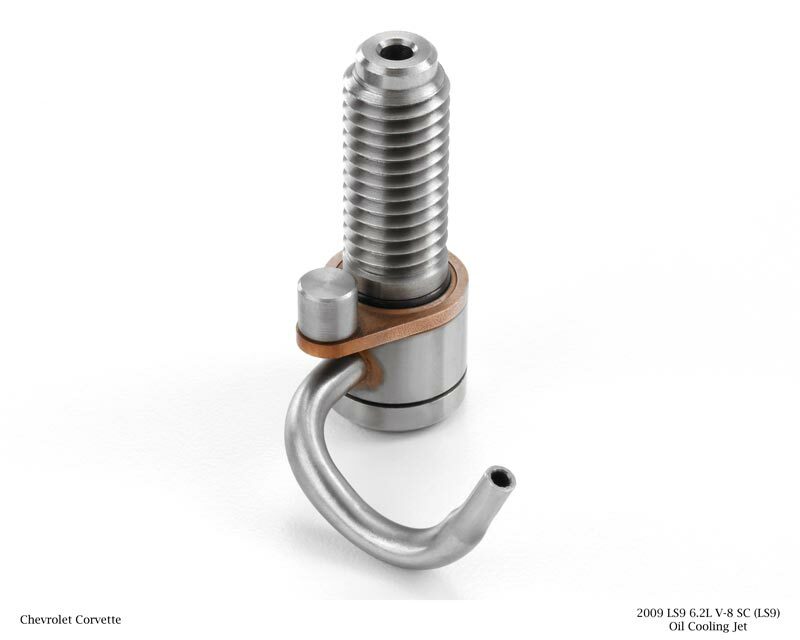 The heads, which are CNC machined, are made of a special aluminum alloy which better copes with the high heat load. 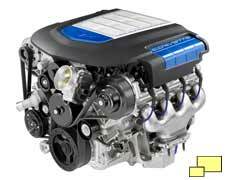 Other changes include a special head gasket and swirl wing in the intake tract. Oil cooling jets (right) spray oil to the bottom of the pistons, helping to keep temperatures in check and to decrease noise. 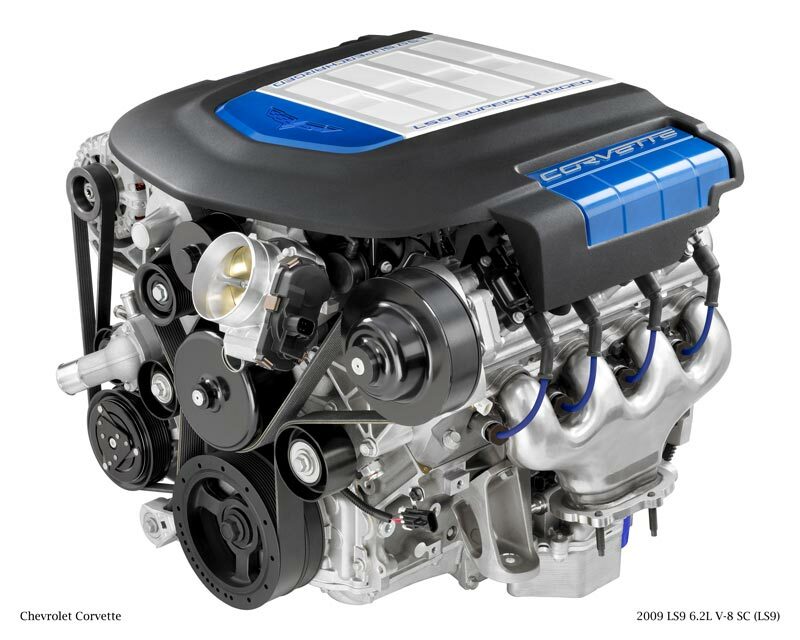 The new LS9 features a dry sump lubrication system, an updated version of the unit in the LS7 equipped Z06. Notes: Base Corvette Coup with 6.2L 376 cu. in. 430 hp engine and six speed manual transmission: $47,895.00. Base Corvette Convertible with 6.2L 376 cu. in. 430 hp engine and six speed manual transmission: $52,550.00. Competition Sport Special Edition: $55,765.00. GT1 Championship Edition Coup: $65,410. GT1 Championship Edition Convertible: $71,915.00. Corvette Z06 Coup with 427 cu. in. 505 hp engine and six speed manual transmission: $73,255.00. 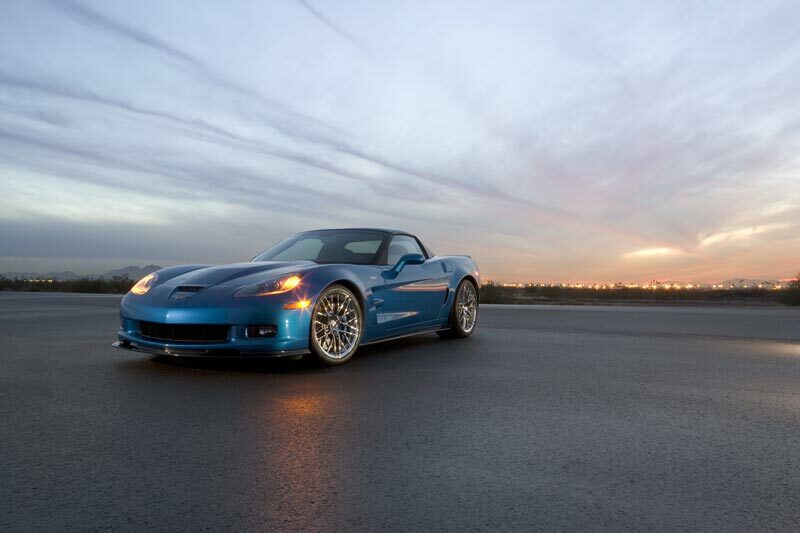 Competition Sport Special Edition Corvette Z06 Coup with 427 cu. in. 505 hp engine and six speed manual transmission: $77,600.00. GT1 Championship Special Edition Corvette Z06 Coup with 427 cu. in. 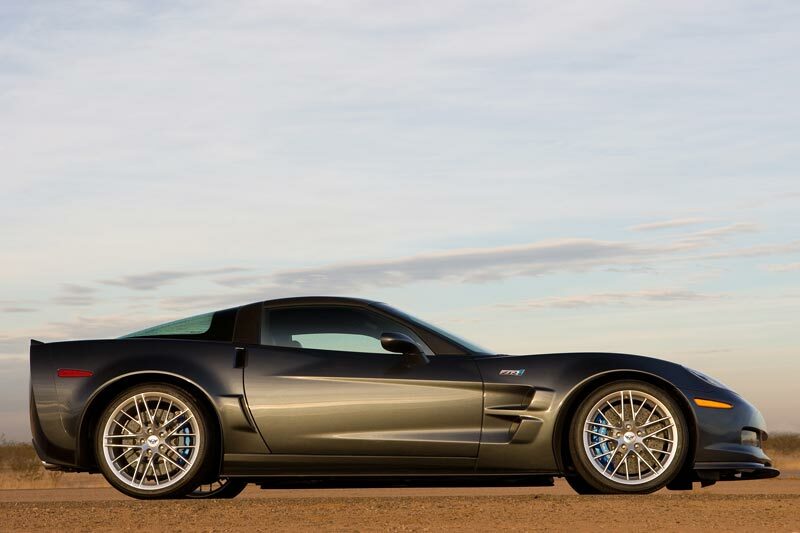 505 hp engine and six speed manual transmission: $86,486.00 ZR1 Corvette Coup with 6.2L 376 cu. in. 638hp engine and six speed manual transmission: $103,300.00.